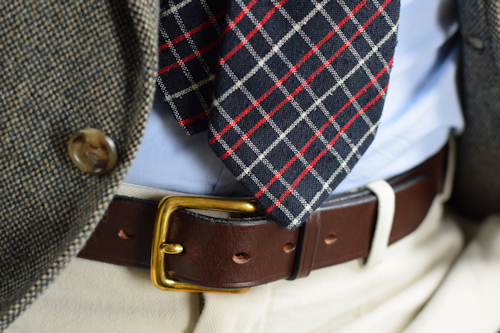 Can ties ever look less than formal? If they are made from a casual-looking material, the answer is possibly. I have a tie in chambray to this end, and you can't get more relaxed-looking than that. I last wore it for a a seaside jaunt, as a smart yet carefree option, and dropped ice cream on it. 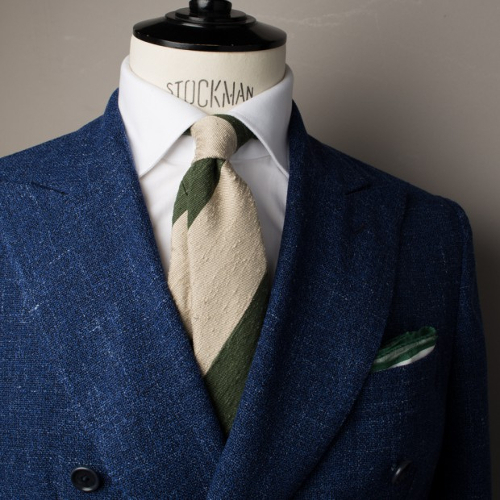 If chambray seems a little too relaxed, and it probably is, textured silk weaves — such as Shantung, tussah and pongee — may offer striking devil-may-care options as ties. 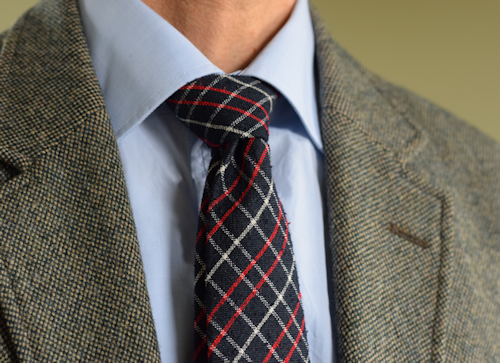 As you can see from the photos above and below, there's no standing on ceremony in my sporty Shantung silk checked tie. I look almost approachable. I'm far from it, of course. Hat tip to the stunning Equus belt stealing the show in the photo. Textured silks tend to be made from wild silkworms. The silk is woven in its raw form, which results in a fabric with a natural beige colour that takes dye well. The fabric also has a pleasingly uneven lumpiness in its weave and little of the shine typically associated with silk. It's like the Harris tweed of silk — perfect for weekend casual. Some prefer to wear Shantung ties only in summer, but I think it all depends on the colours — a dark, solid colour would look fine in winter with a heavier jacket. 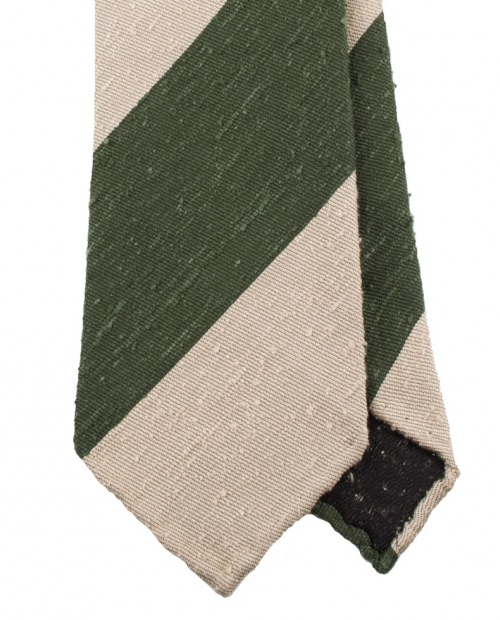 That said, the Handrolled Block Stripe Shantung Tie in green and beige from Berg & Berg looks perfect for a summer promenade around Lake Como, Italy — a delightful spot, and where the tie is made in actual fact. 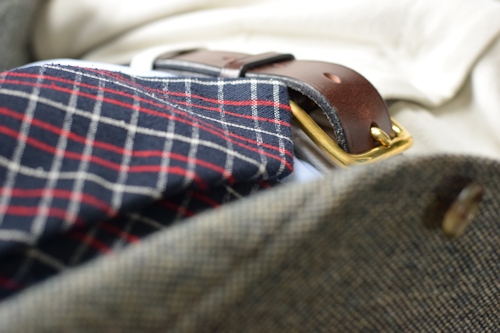 The tie is untipped and has handrolled edges for even more of a relaxed feel. A lack of neatness, in certain circumstances, rejoices the eye.